Home to critical watersheds and orangutans, a 101,000-hectare forest located in the Trus Madi Reserve was on track to serve as a blueprint for a conservation economy, before the rights to log it were sold in October. Forest Management Unit 5 encompasses more than 101,000 hectares in central Sabah, a Malaysian state on the island of Borneo. 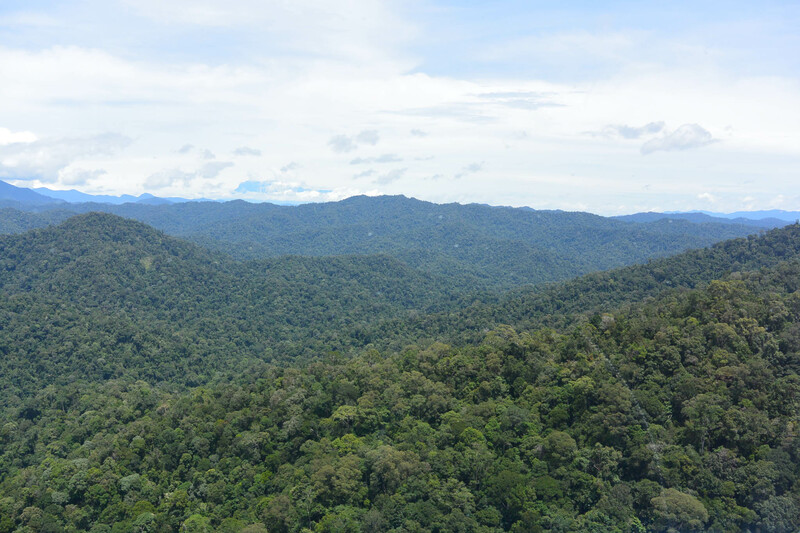 The area’s steep slopes and rich forests provide habitat for the Bornean orangutan and other endangered species and protect watersheds critical to downstream communities. Conservation groups had been working with the government and the concession holder to set up a concept conservation economy on FMU5, but in October, the rights were acquired by Priceworth, a wood product manufacturing company. The fate of a forest tract in Malaysia may have shifted dramatically in just the last few months. For three years, a group of conservation NGOs in Sabah, a Malaysian state on the island of Borneo, has been working to keep the forests from an area known as Forest Management Unit 5 out of the sawmills. 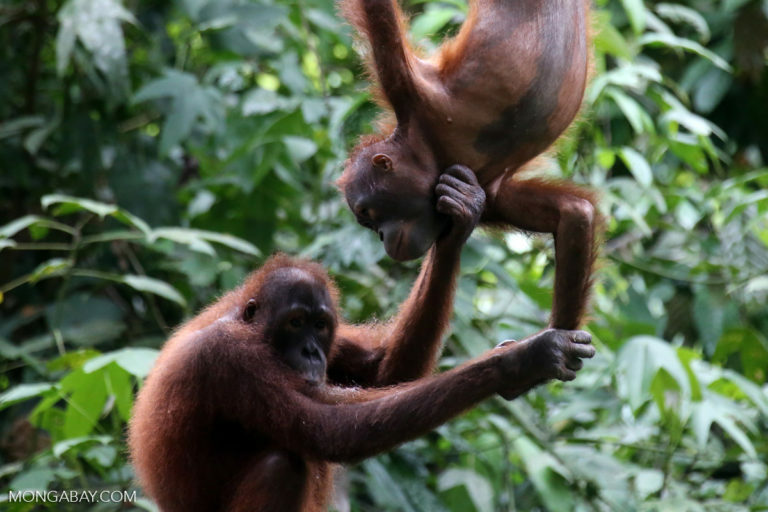 And they appeared to be on the cusp of preserving one of the best-protected stands in Sabah harboring an important watershed, as well as orangutans, clouded leopards and gibbons. They had even sought collaboration with the company that owned the rights to exploit the area for timber. But when that company suddenly sold those rights in October 2016, it took them completely by surprise, say the conservationists, demonstrating just how difficult the transition toward conservation can be. “I thought we were all walking together,” said Cynthia Ong, executive director of the Sabah-based conservation NGO Land Empowerment Animals People (LEAP). On October 19, the Sabah-based company Priceworth International, which manufactures wood products, announced that it had acquired logging and plantation development rights to FMU5 for 260 million ringgit (about $58.1 million) through its purchase of Anika Desiran from peninsular Malaysia-based Transkripsi Pintar. Anika Desiran owned the license to the forest concession. Before that, FMU5, part of the Trus Madi Forest Reserve in central Sabah, looked like an ideal proving ground for alternatives to one of Sabah’s historical economic lynchpins, the timber industry. Ong and her colleagues at Forever Sabah, a broad-based initiative to move the state towards a circular economy that includes LEAP, thought that the old-style logging and plantation models would be a short-sighted use of the unique area. Instead, they envisioned a future for FMU5 centered on a conservation economy integrated with reduced timber extraction: The area’s steep slopes would continue stocking carbon, shuttling water to the lowlands, and housing perhaps 250-300 Bornean orangutans (Pongo pygmaeus), according to a 2005 paper published by the online journal PLOS Biology. Bornean orangutans are listed as critically endangered by the International Union for the Conservation of Nature. In response to the diminished timber stocks from traditionally managed forests, most of the companies that hold forest management unit concessions in Sabah signed on to work with Forever Sabah and the Sabah Forestry Department to explore new alternatives in 2015, Ong said. They hoped that FMU5 would demonstrate that pairing these “conservation economy” elements with limited plantation timber production to generate high-value wood products such as bioplastics could help diversify income streams and provide the state with longer-term benefits. According to a report prepared by Global Forestry Services, a compliance assessment firm based in Malaysia and the British Virgin Islands, Anika Desiran had mapped out plans to clear more than 49,000 hectares of FMU5's forests to develop industrial tree plantations. 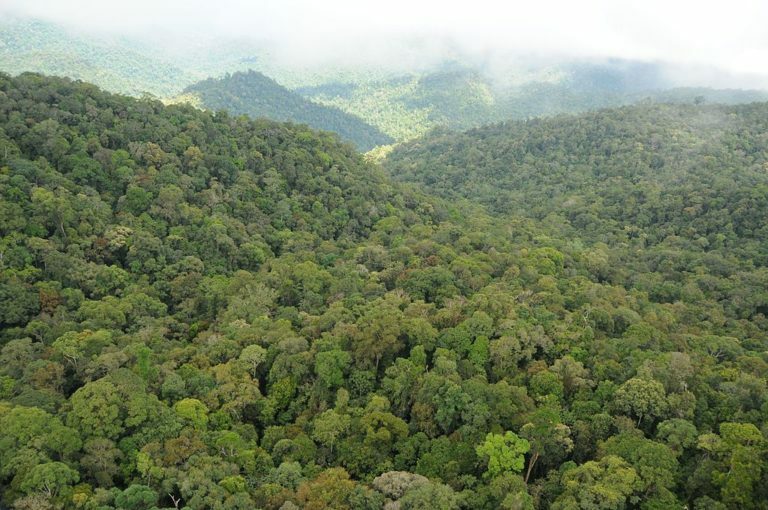 Ong and her colleagues contend that the undulating terrain isn’t cut out for this type of development, which typically involves replacing species-rich natural forest with a small handful of economically valuable tree species. 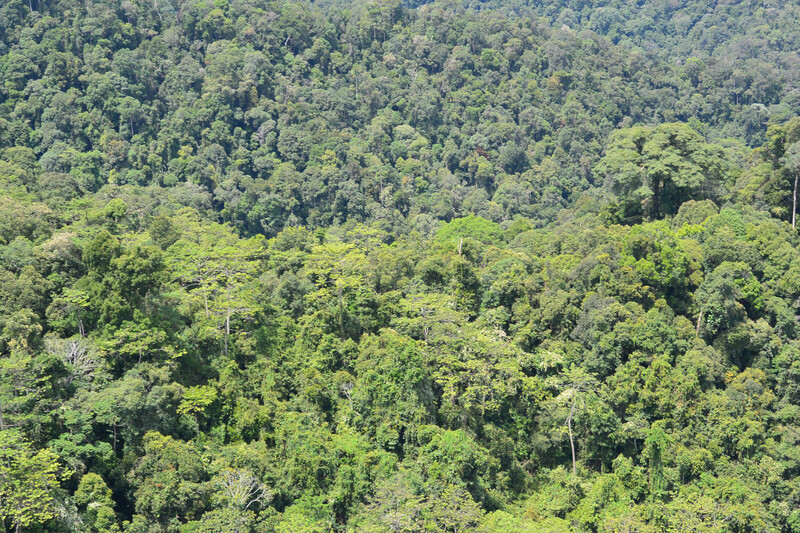 The Forever Sabah team also says that the plantations would overlap with the important orangutan habitat found in FMU5. In 1997 Anika Desiran secured a 100-year lease of FMU5, providing the legal right to harvest timber and clear about half of the 101,161-hectare (391-square-mile) tract for tree plantations. But over the past two decades, the company did little more than develop fewer than 500 hectares as rubber plantations. So, in 2016, Forever Sabah teamed up with WWF Malaysia to conceptualize a conservation economy for FMU5. Sometimes also referred to as a “circular green economy,” the idea was to replace some of the income that the license holder would have gotten from harvesting the timber with carbon financing, payments to keep the water flowing for downstream communities and ecosystems along the Labuk and Kinabatangan Rivers, and a stake in “high-end” nature tourism. They also planned to incorporate small-scale hydropower projects to generate electricity and well-managed tree plantations on the most degraded parts of FMU5. The blueprint seemed in line with Sabah’s forward-thinking forestry department, Ong said. In the 1980s, the government of Sabah decided to open up half of Sabah for development and safeguard the other as state-owned permanent forest estate. “Sabah has probably more forest – and more good forest – than any other part of Malaysia because of that decision,” said John Payne, executive director of the Borneo Rhino Alliance, in an interview with Mongabay. Payne has worked in the field of ecology in Malaysia for almost four decades. A 2016 study published in the journal Scientific Reports found that Sabah still has about 1.65 million hectares of intact forest, covering about 22 percent of the state. In the state of Sarawak, its much larger neighbor, these relatively undisturbed stands cover only 14 percent of the land. Sabah’s forest policy requires the application of the principles of sustainable forest management to ensure that trees aren’t overharvested. Plantations are only supposed to be developed in degraded areas and away from steep slopes, riverbanks, and wildlife habitat so that other vital services from the forest such as water flow management and carbon sequestration continue unperturbed. Along the same lines, the state has set a goal of producing only palm oil that meets the standards of the Roundtable on Sustainable Palm Oil (RSPO) by 2025. Sabah is Malaysia’s largest producer of palm oil, and it accounts for about a fifth of the state’s economy. What’s more, Sabah’s Legislative Assembly voted in November 2016 to increase the proportion of protected area in the state from 24.2 to 25.5 percent, a stepping stone to its goal of protecting 30 percent of the state’s land area by 2025. But according to a 2013 study published online by the journal PLOS One, around 70 percent of the remaining intact forests in Sabah aren't in protected areas, leaving them vulnerable to conversion for timber and oil palm plantations. Forever Sabah and WWF believe that FMU5 is one of the areas that should figure in reaching Sabah’s goal. “Surely, [FMU5] is the kind of area to protect when there’s still forest standing, not when it’s already trashed,” Ong said. She and others believe it’s just not suited for plantations. Around 90 percent of FMU5 is covered by slopes at angles of 15 degrees or more. And the elevation runs from 150 meters (492 feet) to 2,300 meters (7,545 feet). He said his biggest concern around logging the area would be the erosion that compounding effect of the 3 meters (10 feet) of rain that falls on the Trus Madi area every year. 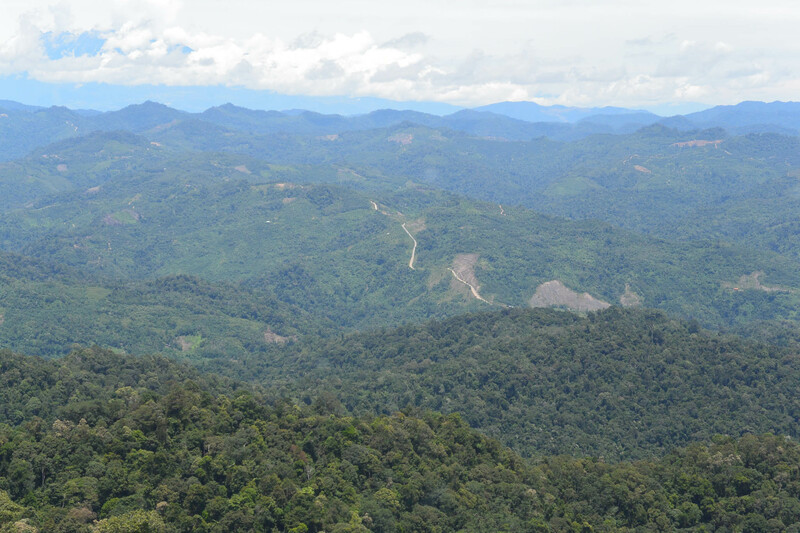 Sabah’s laws and the principles of reduced-impact logging restrict logging on slopes above 25-degree angles and plantation development above 15-degree angles and near streams. Ong had hoped that when the area’s management plan expired in 2016, they could work with the forestry department and Anika Desiran’s FMU coordinator Henry Choo to hammer out a new one that would codify a conservation approach that made economic sense for everyone, representing a leap forward in the struggle between profit and protection. “And then something like this happens,” said Ong. She said she learned of the sale in an article in The Malay Mail, a newspaper based near Kuala Lumpur. “It feels like we just took a whole bunch of steps back,” she added. Henry Choo did not respond to Mongabay’s requests for an interview. 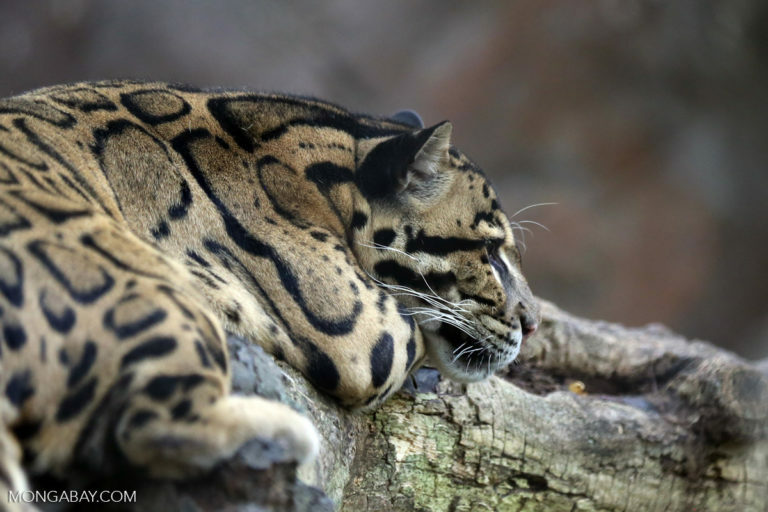 “We have not been informed officially of this reported sale,” said Sam Mannan, chief conservator of forests with the Sabah Forestry Department, in an email. He said that the new management plan will include considerations about the watershed, high-conservation value forests and the orangutan population. “The final land use [plan] will be presented by the licensee for discussions before approval,” Mannan added. Andrew Lim Nyuk Foh, Priceworth’s managing director, said that the company planned to begin logging in this month, in a recent interview with the website The Edge Markets. Lim has not responded to emails from Mongabay requesting comment. Ong said she had no idea that the negotiations were going on, even as Forever Sabah and WWF were crafting a proposal and exploring partnerships to shift the unit’s management plan. She said it undermines their work, not to mention the tenuous trust between conservation and corporate interests. Tay said that the sale came as a “total” surprise. Still, he said, he understands the economic motivation behind wanting to harvest FMU5’s timber. “Studies have shown that the massive timber values and oil palm plantation profits driving deforestation in Southeast Asia exceed the foreseeable revenues from the global carbon market and other ecosystem-service payment mechanisms,” Tay said. Tay and his colleagues convinced Lim to allow them to carry out a carbon assessment on the part of FMU5 earmarked for natural forest management. Once the results are in, they plan to look for investors to provide financing to keep that carbon intact. Previous rough estimates pegged the amount of aboveground carbon in FMU5 at 24 million tons or the equivalent of about 86 million metric tons of carbon dioxide, a number that forest restoration and natural regeneration could further increase. Whether the new owner will see this approach as an economically viable alternative remains an open question. The potential to develop a carbon market is there. Bornean forests produce almost 50 percent more wood compared to their counterparts in the Amazon in a 2014 study published in the Journal of Ecology. Higher wood production means that trees need to pull more carbon from the atmosphere, and dipterocarps, a family of tall, super-productive trees common in Southeast Asia and especially FMU5, are leaders when it comes to siphoning carbon from the atmosphere. But to date, the schemes to monetize carbon or other ecosystem services in the region “have yielded minimal income so far,” Tay said. “Currently there is no model for conservation economy in Sabah or even Malaysia,” he added. To capitalize on the state’s natural wealth, the Sabah Forestry Department is currently working to develop a payment-for-ecosystem services, or PES, program, Tay said. “This [will] be our best bet for Sabah because for a PES to be implemented, it needs policy and legal readiness, and this [PES] project is trying to work towards that,” Tay said. But the major hurdle that this shift in approach hasn’t yet reached levels of income that can compete with the immediate returns available from timber harvesting. The investment in FMU5’s conservation economy might have proven to be a model for what’s possible in forest-rich countries like Malaysia, not to mention elsewhere in Southeast Asia and around the world. It was supposed to be the beginning of a change to the status quo in Sabah, where the logging roads and heavy machinery of decades past gave way to a reinvigorated ecosystem capable of supporting healthier watersheds, pulling more carbon dioxide from the atmosphere, and nurturing the many animals and plants found nowhere else on this island that supports 6 percent of the world’s biodiversity. So too would FMU5 have wowed visitors intent on marveling at the region’s unique plant life or catching a glimpse of an orangutan. And forest-dependent people would see their livelihoods remain intact. The hope is that FMU5 still might become all of these things, though this case has proven just how difficult it is to resist falling back into old habits. “I think that if we’re really going to make that shift, whether it’s carbon or climate or forests, it’s at that very moment that we can’t lose our nerve,” Ong said.